There's a new WhatsApp feature that's crushing it right now. That is nothing but the "Custom Whatsapp Stickers feature." You all might already know about the WhatsApp and its crazy on the internet. So, I won't be saying about the craze of the WhatsApp in this post, but I'll be letting you know about the new WhatsApp feature. The popular messaging app WhatsApp has finally rolled out some big-time update which gives lots of new stickers to express your emotions freely. By having a glance at this feature, most of the people are just thrilled to use this awesome feature. Within no time this awesome feature has gained momentum and impressed number of people throughout the internet. Previously, this new WhatsApp feature is just rolled in beta devices, so beta users used to enjoy this feature. 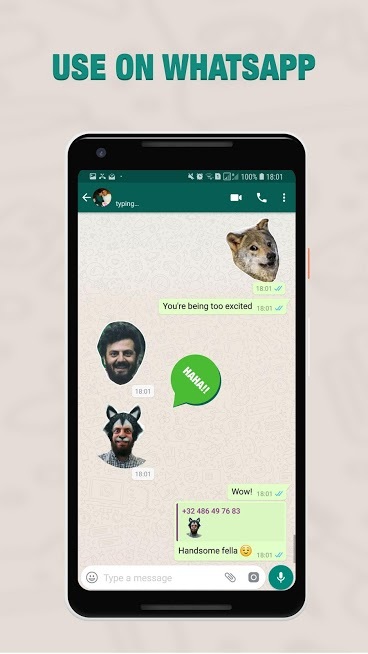 But, now WhatsApp has felt bad and released this Custom Whatsapp Stickers feature to all the WhatsApp user. So, from now on you all can access this awesome update and have lots of fun with this superb feature. Most of the people are raring to hit social media with their awesome customized Whatsapp Stickers on the internet. If you are one of them, then there is no stopping for you. Just check out this post on how to create custom WhatsApp stickers on your own and create your custom sticker and have lots of fun. If you are not living the internet world and just explored the word stickers means you might feel hard to get the above sentences right? Don't worry; stickers are ruling the internet for many days. 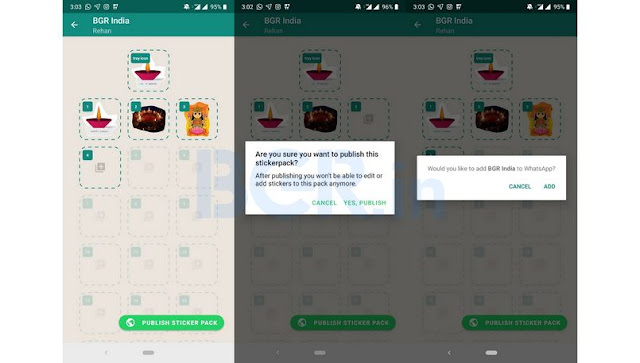 Firstly if you are hike users, then you will know about these stickers perfectly because this is the first platform which has given lots of sticker updates. Stickers are barely similar to the emoji's, but the main difference between the emoji and stickers is the stickers are large in size and have life form, and emoji will not have those. So that's what the stickers are all about. You can find lots of stickers on hike, Snapchat and even on Facebook & Instagram as well. There are literally everywhere. So, you can just see them faster than any other thing on the internet. Now you might be wondering why stickers have this much craze right? Why WhatsApp Stickers has so much craze? Stickers are mainly used to express your feelings without writing thousands of words. Previously to express our opinions we used to write sentences then we changed that to emojis to show emotions, and presently we are using stickers to express our feelings. These stickers are very flexible and very easy to find and use. So, you can simply spice up your boring chat with some great stickers. If you use your own custom expression on stickers means you can love your conversation. It this new update WhatsApp has made some awesome sticker packs and released it for its users. So this is one of the critical updates for users but wait there more in this update. You can even create your own customized stickers with your facial expressions. You should believe that because the new update is filled with customized features. 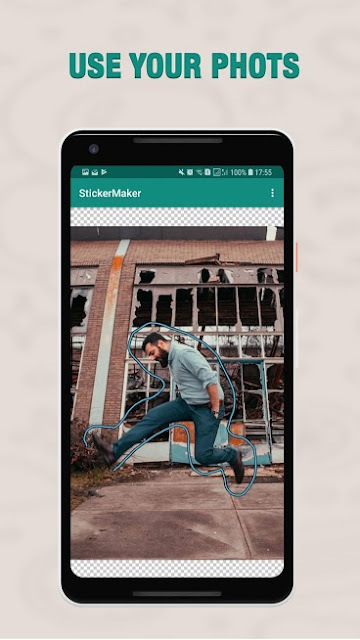 Although this cant be done on WhatsApp, but You have to take help of the third-party app, and with that help, you can quickly create your own customized WhatsApp Stickers. You can quickly send your own personalized stickers pack. Now you might be curious to know about the third party application and its process right? Don't worry, I'll clearly cover everything in this post and will be helping you to create your own Custom WhatsApp stickers. Some of you might think this might be a premium app or something like that but it’s completely free. That's the main reason why this feature has earned thousands of people's praise. Now to get started first you have to check whether your current version has the capability to support the latest sticker functions. If your WhatsApp version is not supported with that version means you have to update your version. Updating makes it simple for you to access and enjoy these customized Whatsapp Stickers. This feature is released for both Android and IOS users, here I mentioning about the Android Device in the latter post you can check out the process of iPhone devices as well. So, let's get into the process of creating your own customized stickers. To get WhatsApp stickers packs, you have to update your WhatsApp version to 2.18.329 or Above in Android Devices. The Stickers packs for WhatsApp which are released such as Biscuit by Ghostbot, Bibimbap Friends, Cuppy and so on. Once you download these stickers, you will be able to access these stickers offline as well. “Sticker maker for WhatsApp Applications" from your Google Play store. Then you have to install that app and open that app soon it was installed. Click on the “Create a new Sticker pack" option in that app. You should enter the name of the WhatsApp Stickers pack to proceed to the next step to keep the best name you like. Once you have completed creating name -- Click on the sticker pack from the top of the screen. Now, you will see an empty screen with some placeholders and an option called "Tray Icon." Just click on "tray icon" along with thirty stickers in on sticker pack. You should get two options -- the First one is "Take Photo," and another one is "Select File." If you choose "Take photo" option means take photo after asking permission. If you choose “select photo," then you should select your desired image from your gallery. After selecting one option in two now it is time to draw an outline for your image. This outline is nothing but the area you want to keep as the sticker. You can simply use your finger to draw the outline. If you want, you can zoom your image to get an accurate outline. Once you completed outlining, then you should save your WhatsApp Sticker because you have done editing. Similarly, add 30 WhatsApp Stickers you like in the same process. 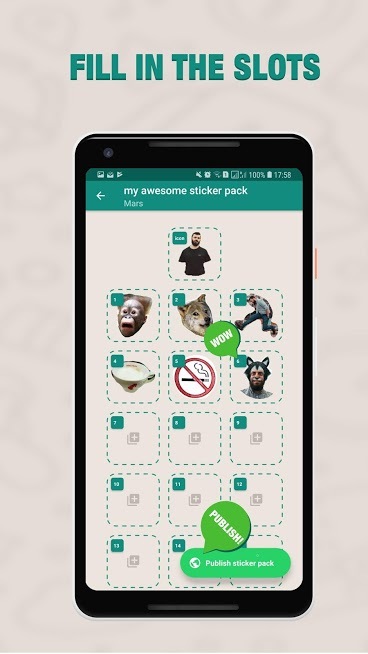 As the limit of the stickers are thirty WhatsApp Stickers for a pack. If you want to re-edit the pack means you can tap "try again" option in outline." Once you finished outline means click on “Publish sticker pack" option towards the lower right-hand side of the screen. Now, you will get a question that if you want to add the sticker pack to your WhatsApp. Stickers. You can directly share your stickers with your friends and contacts in WhatsApp. Make sure you don't delete this app because once you remove that app; your stickers will be gone from your WhatsApp. So, it's best not to do that. This is how you can create your own custom WhatsApp stickers. This is the generation of electric vehicles. Many companies are in the process of making their own spin off on the modern day fuel powered vehicle. But this time around it is with electricity. In many places still, the electric powered vehicle is in use, so it is not just a concept that is thought of, but now a reality. The latest company to show off its new electric vehicle is Harley Davidson. Harley Davidson now brings us its new and first of its kind- electric powered motorcycle- the LiveWire. It has been 4 years since Harley Davidson came out with news of the concept electric bike. But now finally the wait is over. The motorbike company is all set to release the LiveWire. The production ready bike LiveWire has been launched by the company at the EICMA motorcycle show held in Italy earlier this week. At present LiveWire is just production ready and will be available at stores only next year. Harley Davidson has a lot riding on the LiveWire. The company hopes that their new electric bike will help revive a drooping brand. LiveWire will not be the only electric bike that Harley Davidson plans on coming out with. LiveWire will just be the first in a long and successful electric bike lineup that Harley Davidson hopes to launch in coming years. The first portfolio of Harley Davidson electric powered bikes is all set for take- off in 2022. To make the switch to electric smoother for customers, Harley Davidson plans on starting Level 2 public chargers at dealer locations that will sell the LiveWire. 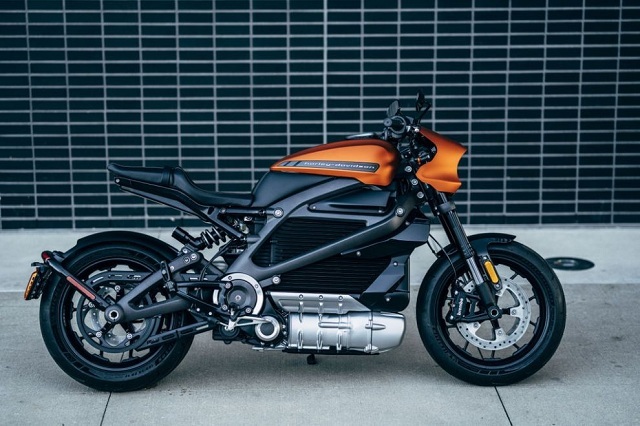 At present many people are weary of using an electric powered vehicle because of a lack of charging stations but with this initiative, Harley Davidson hopes to remove such notions and get people to buy the LiveWire and its ilk. The LiveWire will be powered by a magnet electric motor that will lower the center of gravity and make it easier for the driver to handle the bike at different speeds and also to make it easier to control when stopped. The LiveWire will also have two batteries one main one which is encased by a finned cast aluminum housing and a secondary 12 volt lithium ion one that will power the lights, controls, horn and instrument display of the LiveWire bike. The LiveWire bike will also have seven riding modes 3 of which will be rider defined. The LiveWire bike will also have an adjustable screen above the handlebar which will be used for Bluetooth connectivity, navigation, music and many other features. This time around the Harley Davidson sound will not be present as it is an electric powered bike.But fear not Harley Davidson has put in a tone that will increase in pitch and in volume as the Bike increases its speed. 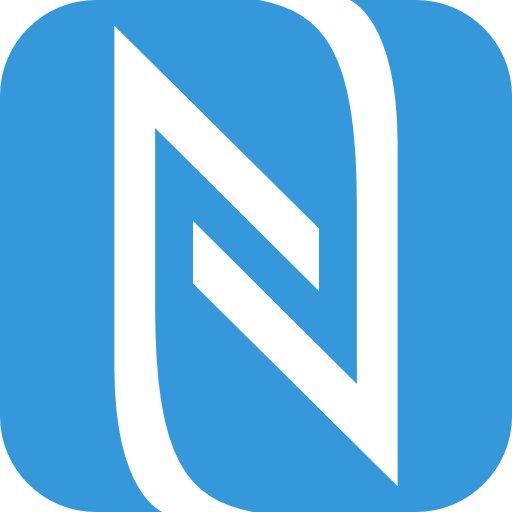 NFC has become the buzzword in this modern Android Dominated world. Although NFC exists for a long time but it is becoming popular these days. It is mainly happening because of the growth of online payments services like Android Pay and Samsung Pay. You can find this NFC (Near Field Communication) options in almost all Android devices that are from mid-range to the high-end Android Devices. Now, if you are a tech freak means you will obviously know about the NFC but If you are relatively new to this NFC means you might be struggling to know about NFC. Right? 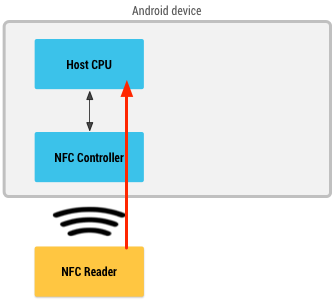 Now, don't worry in this article I am going to explain what is NFC and how to use NFC on Android. NFC is nothing but the Near Field Communication. It is the modern technology which actually works to communicate with the near or close devices. This technology helps to communicate with nearby devices via the radio frequencies. This NFC is almost similar to the Bluetooth and Wi-Fi options, here in NFC a device will transmit information from one device to another device with the help of radio waves as mentioned above. In conventional android devices, NFC option is often marketed as the file -sharing option. With this NFC option, you can simply swap files faster than other wireless transfers. You can even do more with this helpful feature in Android such as Pay wave, Data sharing, sharing apps & mobile payments, etc. Now, you have got some knowledge on what is NFC right? So, let's get into the other aspects such as How to use NFC on Android device and more. Using NFC on Android is pretty simple, and the process is almost similar to the WiFi & Bluetooth options. Now, as you want to try NFC on Android, you need to whether your device has NFC option or not. Nowadays, almost all android phones are having this NFC options, but in older versions, you can only find this option in some high-end devices & mid-range devices. If you want to check this option on your Android device means there is one way to check it without going into the settings. In particularly the Samsung phone, you'll see an option called “ Near Field Communication” which is printed on the battery pack. On Sony devices, you can see N-mark on the back of the battery which indicates that the device is NFC enabled. However, this is an old process of check NFC now in new models you don't have to look at that as you have other ways to check it quickly. Just follow these simple steps to know whether you have NFC on your mobile device or not. Hover over to the settings section in Android. Then scroll down and watch out for "NFC" and " Android Beam" Option. Some devices, you can find NFC in general setting. Open settings > more and type in NFC. Now, these settings may vary depending on the device you use. But by following the above steps, you can get to know whether your device has NFC or not. Until now we have seen how to check NFC on your device. Now, if you have that NFC option means you can soon activate it and use this device. If you want to activate NFC on your mobile device means follow these steps. Hover over to the settings tab. Then Click on "NFC" to Activate the feature. Now, when you turn on "NFC" the Android Beam option will automatically turn on. In some cases, if it didn't turn on means click on the Android Beam and select yes to turn it on. In general, Smartphone’s NFC wide range of features can only be used when you activate Android Beam. If the Android Beam is disabled means, you can't enjoy full functionalities of NFC in Android. Now as you are thinking about how to use NFC on Android. Here are the features you can use NFC on Android. 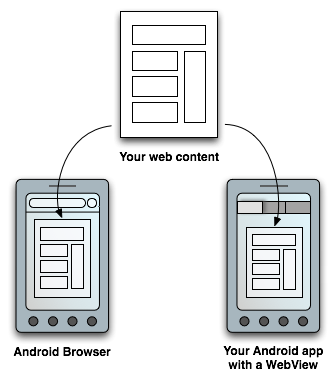 While sharing information both sender and receiver devices should have NFC and Android Beam Activated on their devices. Both devices shouldn't be asleep or locked once they are locked then data sharing will be stopped. You'll usually get the audio and feedback when two devices detect each other. It is always best practice to not to separate your devices until the beaming started. You'll hear audio feedback when you successfully receive content or other data. No matter which device you use to share such as a tablet to phone or phone to table the beaming process will remain the same. Even for sharing different files the beaming process is similar. Here is the step by step beaming process to start sharing data with other devices via NFC on Android. As said above, Always make sure both devices are turned on. Open the content which you want to share. Just place the two android devices backs against each other. Stay still until you heard a haptic confirmation sound on both devices. Now, just notice the sender's screen shrink into a small thumbnail, and it displays " touch to beam" at the top of the screen. Just click on the sender's screen to start beaming. You will generally hear some sound at the start of beaming content and at the end of transmitting content as well. Until now we have seen the process of How to use NFC on Android. Now let's see the real features of NFC. Sharing apps through NFC is not recommended by most of the people because it will not the App's Apk with another device. Instead, it shares the app's play store page, so it is considered as the major cons in the NFC. If you want to share web content means it will not share the offline downloaded page instead it will share the webpage URL with another device. Similar to the web content your youtube videos will not be shared through NFC instead it will share the Youtube URL. This is one of the best options in NFC while sharing contacts info in NFC it will automatically be saved to the device' phone book. So, no need to save contacts, unlike some disturbing sharing apps. With NFC you can merely send photos. To send images all you have to do is the open image you want to send to the other device and pace both devices closely and tap on the sender's screen when beem promoted. It won't take much time to share files as it is faster than regular sharing apps. The best feature of NFC is the mobile payments features. In NFC you can quickly, pay just by waving at the device. This is the main reason people use NFC for other than small features. There are lots of options available in NFC payments the best of the payment methods are Google Pay and Samsung Pay. Now, if you strive to make payment with your phone via NFC means you have to sign up for one of the popular payment methods and you can start making your payments at the supported retailers. Always remember to make a payment you have to activate NFC. Activate NFC on your phone. Hold your back of the device very close the payment terminal for a couple of seconds. Then wait until the payment is completed. It's that easy you can find these type of payments in all US, UK, and Australia. This is how to use NFC on Android. After seeing the above options, you will definitely love to use NFC for payments as it is super quick and very secure process. It is worth a try if you haven't used this process yet for your payments. The Apple Watch Series 4 is one of the most sought-after wearables. The sales figures have hit the roof as the orders suggest. Besides a great improvement on the internals, there is also a larger display. Along with this the Apple Watch series 4 has come out with better and improved health features and includes the ECG monitoring feature. The Apple Watch series 4 has an added feature called Fall Detection. If the wearer has a significant fall, then it will call for help in the absence of any movement within a minute of the fall. How does the Fall Detection feature work? 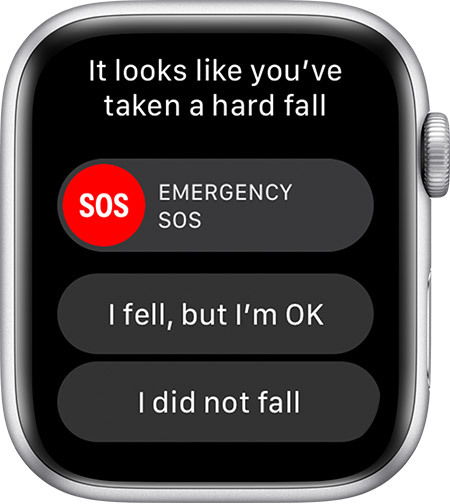 If the Apple Watch detects that there is some motion after the fall, then it will wait for the wearer to respond to the alert and will not call the emergency services immediately. On the other hand, if the wearer is immobile for at least a minute, then the Fall Detection feature will begin a 15-minute countdown. It will tap on your wrist and sound a warning. The alert keeps getting louder until the wearer or someone nearby can hear it. At the end of the countdown, the Apple Watch will contact the emergency services. The Fall Detection feature also sends messages to your emergency contacts letting them know the location of the fall and also that the emergency services have been contacted. In order to contact the emergency services, the wearer should make sure to turn on the Fall Detection feature. To do this, you need to open the Settings app on your smartwatch, tap General and turn on the Fall Detection feature. Along with this, the falls will be recorded in the Health app, unless the wearer replies in the negative when the Apple Watch asks about the fall. The Apple Watch Series 4 stores all the fall history in the Health app. To check the fall history, open the Health app on your iPhone, tap the Health Data tab and tap Results. Apple’s Jeff Williams has explained that the Fall detection feature of the Apple Watch Series 4 detects only serious falls and not the usual stumbles and trips. In order to check out this Fall Detection feature, Joanna Stern of The Wall Street Journal employed a clever strategy. She used an actual Hollywood stunt double to test out the Fall Detection feature. The stunt double aped a significant fall as accurately as possible. After the test was conducted she noted that the Apple Watch Series 4 was quite accurate when it came to detecting a serious fall and ignoring a fake fall. The Fall Detection feature turns on by default for the wearers who are 65 years or older. 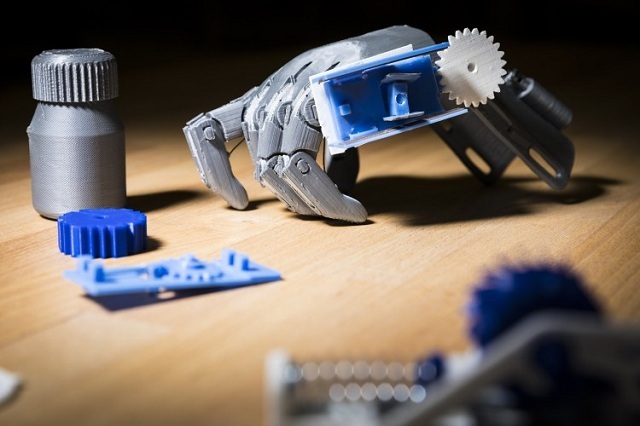 Researchers at the University of Washington have devised a way by which technology can be made from 3D printers, which can be got from the off- the shelf and what’s more is that these 3D printed objects wouldn’t have to use electronics or be made from electronic materials to work. These 3D printed objects can be in the form of a pill bottle which is “smart” in the sense that it helps a patient remember when to take their pills. However with 3D printed objects made of plastic, they cannot be monitored by researchers to show how the pill bottle and such is being used by the patient- that is whether they find it convenient enough for a next time use or once is enough. But researchers have found a way to overcome this obstacle as well. Researchers at the University of Washington have found a technique known as “backscatter” that helps these devices store data offline and then send that information when the device is back online using an antenna. The 3D printed object can also receive information in the same manner- by reflecting the signal off of an antenna. This backscatter technique helps sort the problem of not knowing how the patient uses the 3D printed object. It also helps keep the cost low by using only plastic and non- electronic parts. Researchers at Washington University have found a way for the 3D printed object to connect to the Wi- Fi. This will allow the 3D printed object to order a pill bottle online when the current stock is running low, say for example, when the patient requires some more. By making 3D printed tech from plastics and without using any electronics, it keeps the cost low while also you could get the object wet without worrying about spoiling it. This opens up a whole new set of applications where the same technique can be used. In the researchers previous study they could track data going in one direction and wanted to do so in two directions as well. That means that while a 3D printed object could track detergent levels which saved information in one direction, researchers also wanted data to be tracked in both directions like the opening and closing of a pill bottle. With one directional data movement, researchers used gears that allowed a fluid to move through when the gear moved in one direction and this liquid would push a switch down to reach the antenna. For two directional data movement, researchers have now developed two gears one on the top and the other on the bottom. This apparatus works in the same way as well with the fluid and gears. So as the pill bottle is opened the gear moves in one way, pressing the top antenna and when it is closed the gears move in the other way, pressing the bottom antenna.